Leigh-Anne Galloway is the Cyber Security Resilience Lead at Positive Technologies where she advises organisations on how best to secure their applications and infrastructure against modern threats. Leigh-Anne has chosen to specialise in payment technologies and regularly carries out research in this area. Leigh-Anne started her career leading investigations into payment card breaches, where she discovered her passion for security advisory. Her keen eye for new technology has led her to work with companies such SilverTail Systems (acquired by EMC) and vArmour where she helped shape the direction of each. There’s a cloud-based avatar of you that knows your habits, desires, needs and preferences with timeliness and pinpoint accuracy. It sounds futuristic, but it’s entirely achievable now thanks to the data you willingly supply companies with. But what happens, Leigh-Anne Galloway, Cyber Security Resilience Lead at Positive Technologies, asks, when any one of these multitudes of data sources is breached? Steve Grewal is a former deputy CIO at GSA. He also served as a former CIO, CTO and CISO at the US Department of Education. Presently, Steve is CTO at Cohesity, and is a member of the Federal Advisory Board of Exabeam. Aaron Guzman is Head of Automotive & IoT at Aon, as well as OWASP Los Angeles Board Member and Cloud Security Alliance LA/SoCal Board Member. Eddie Glenn is the Product Marketing Manager at iovation, where he brings more than 25 years of experience in enterprise software from companies such as Rational, IBM, and Wind River. He has a BCSC/EE from the University of Virginia and an MBA from the University of Oregon. From assembly language programming early in his career to product marketing, Eddie has done it all. As an avid home automation/IoT enthusiast and frequent online purchaser, Eddie has a unique passion for making e-transactions safe for online consumers. Zoltán Györkő, Balabit CEO, co-Founder and a Board Member of Balabit since the company’s founding in 2000, has a deep knowledge of IT security market and has actively contributed to Balabit's global expansion. Györkő received the 2014 Emerging Enterpreneur Award from EY for leading one of the most successful and dynamically growing companies in Easter Europe, and has also been named Info-communications Manager of the Year (the Tibor Gyurós Prize). Zenobia Godschalk is the CEO of ZAG Communications, a communications agency serving high-growth technology companies. She was previously a sell-side analyst with Morgan Keegan, where she was a member of The Wall Street Journal’s Top Ranked Software Analyst team. Prior to that, she served as head of corporate communications for Opsware Inc (NASDAQ: OPSW), which was acquired by HP for $1.6B. Zenobia graduated from Stanford University with a BA in Economics, minor in Industrial Engineering. Zenobia serves on the executive team of WIT's 'Girls Get IT' program, and as a ‘Science Cheerleader’ – a volunteer group of current and former NFL and NBA cheerleaders pursuing science and engineering careers and inspiring young women to consider careers in science. As CEO and founder of Seclore, Vishal Gupta has lead Seclore from a niche Indian start-up to a global player in the Enterprise Digital Rights Management (EDRM) space, with more than 10 million users from 8,000 companies in 29 countries using the solution every day. 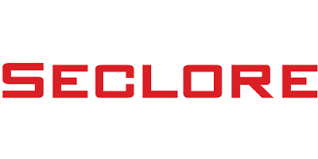 Seclore partners with leading Silicon Valley tech giants, including an OEM agreement for Citrix’s ShareFile. Vishal is an IIT Bombay graduate and a specialist in biometric security systems. His ideation in fingerprint imaging led to the development of the core technology behind Herald Logic 2000. The company enjoyed a 220 percent compound annual growth rate, spreading to Singapore, Australia and UK. 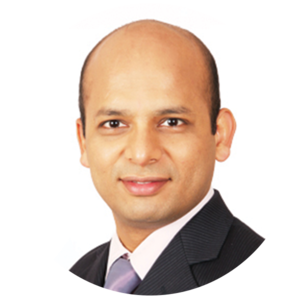 He has spoken at various industry events including Citrix Synergy 2016 and IBM Insight 2016. Technology entrepreneur Vishal Gupta explains how living by the principles of empathizing with the individuals whose data his firm is charged with protecting frames the way he approaches his InfoSec Life. 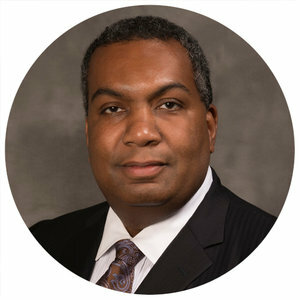 Ron Green is executive vice president and Chief Security Officer for MasterCard. He leads a global team that ensures the safety and security of the MasterCard network, as well as internal and external products and services, including business continuity. Prior to joining MasterCard, Mr. Green held leading information security positions with Fidelity Information Services (FIS), Blackberry and Bank of America. Mr. Green has extensive experience working with international and federal law enforcement agencies both as a special agent in the United States Secret Service and as an officer in the United States Army. Mr. Green serves on several advisory councils including the Financial Services/ Information Sharing and Analysis Center and the Overseas Security Advisory Council. Mr. Green holds a bachelor’s degree in mechanical engineering from the United States Military Academy at West Point; is a graduate of the FBI’s Domestic Security Executive Academy; and holds a graduate certification in Information Assurance from George Washington University. InfoSec. A cool job. A tough job. A great job. How does the CSO of MasterCard stay ahead of the bad guys? By empathizing with consumers who use its card, incentivizing employees to recognize potential emailed hazards, and evangelizing cybersecurity to young talent as a rewarding career. 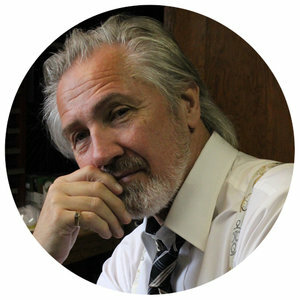 Mark Gibbs has worked in the computer communications and high-tech world for more than 30 years as an entrepreneur, corporate executive, journalist, and consultant. He has co-founded several companies including Novell UK Ltd., and was the creator of the publicly traded Internet audience behavior measurement company, NetRatings Inc. He is the author of four best-selling computer networking book titles and was a syndicated journalist and columnist for 24 years writing for Network World, Computer World, and other IDG publications. As of writing this article on Thursday, September 7th, 2017, yet another corporate mega-breach has been revealed and this time it's the credit-reporting agency, Equifax. Negligence, terrible communications, bad crisis management … someone's head is gonna roll. When it comes to thinking about cyber-attacks, many of the folks running businesses are relying on a heavy combination of faith ("it won't happen to us"), reliance on cyber-insurance ("any losses will be covered"), and the unfounded belief that the long-term consequences won't be that bad ("if it does happen, we'll be back in business in no time"). Alas, every single one of those ideas is simply wrong. Ronald Reagan famously said "The most terrifying words in the English language are: I'm from the government and I'm here to help" and he was right, especially when the IRS is involved. That said, occasionally a government agency does help and a recent document published by the National Institute of Standards and Technology (NIST) clears up a topic that really matters to all of us: How to passwords should be built. Lee Godby is Manager of Business Development responsible for building and driving strategic partnerships and relationships within Centrify’s Identity Service. 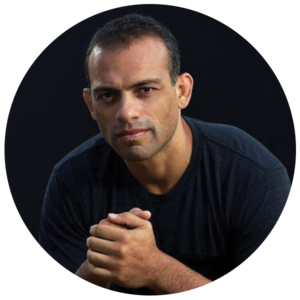 His background is in sales and business development within the technology space. Your Credentials Are Compromised, Now What? If you’re not using an identity management or password management service, this can be cumbersome and inefficient for your end users and expose your organization to unnecessary risks. Expert Lee Godby talks us through the highlights of multi-factor authentication which can be used to help protect a breach by protecting against the re-use of lost or stolen credentials. Joe Gray joined the U.S. Navy directly out of High School and served for 7 years as a Submarine Navigation Electronics Technician. Joe is an Enterprise Security Consultant at Sword and Shield Enterprise Security in Knoxville, TN. Joe also maintains his own blog and podcast called Advanced Persistent Security. He is also in the SANS Instructor Development pipeline, teaching SANS Security 504: Hacker Tools, Techniques, Exploits, and Incident Handling. In his spare time, Joe enjoys reading news relevant to information security, blogging, bass fishing, and flying his drone. ITSPmagazine recently caught up withJoe Gray, Enterprise Security Consultant at Sword & Shield Enterprise Security. Joe shared his views on personal information sharing, privacy, and the value of community service for information security awareness throughout society. Jeremiah’s InfoSec career spans nearly 20 years and has lived a literal lifetime in computer security to become one of the industry’s biggest names. 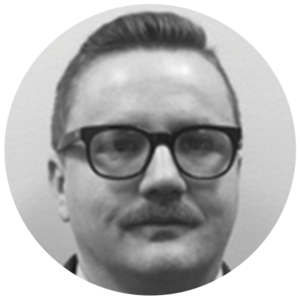 At SentinelOne, Jeremiah is responsible for designing effective defense strategies against ever-evolving attacks including ransomware. 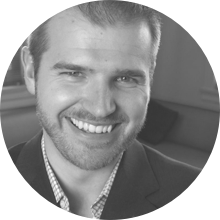 Prior to joining, Jeremiah was the Founder & CEO of WhiteHat Security, specializing in website risk management. Jason Garbis is leading the Cloud Security Alliance initiative applying Software-Defined Perimeter to Infrastructure-as-a-Service environments, and is co-leading the creation of version 2 of the overall Software-Defined Perimeter specification. At Cryptzone he’s Vice President of Products, responsible for the company's product strategy and product management. Garbis has over 25 years of experience at technology vendors, including roles in engineering, professional services, and product management. Garbis holds a CISSP certification, has a BS in Computer Science from Cornell, an MBA from Northeastern, and is also a published author. Malicious actors are wasting no time in kicking off 2017…in the past week we’ve seen an active and growing ransom campaign against over 10,000 unsecured Internet-facing data MongoDB instances. Here expert Jason Garbis explores this situation a bit more, and then takes a step back for some analysis. 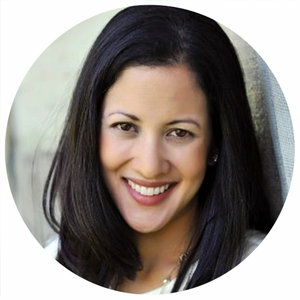 Dr. Uma Gupta is an entrepreneur, consultant, keynote speaker and Professor of Business at Buffalo State College, New York and specializes in technology, strategy, leadership and entrepreneurship. She holds a PhD in industrial engineering, an MBA from the University of Central Florida, and a graduate degree in mathematics from Stella Maris College, India. Dr. Gupta was selected as the Top Ten Influential Women in Technology in Houston, Texas, was awarded the prestigious Fulbright Award by the United States government to conduct research and teach at the University of Malta, and has won numerous other awards for community engagement and exemplary leadership contributions. Uma Gupta is also the Founder and Executive Director of STEM-SMART, a non-profit organization that promotes science and technology careers in the U.S. She has been quoted in Forbes, Reuters and NPR, has published three major textbooks on technology management, edited a book on Artificial Intelligence, and published more than sixty five research papers. She has a deep love and passion for studying and understanding human nature and decision-making and its influence on our personal and professional lives and incorporates findings from brain research and neuroscience into her talks to help all of us understand why we do what we do and to find ways to tap into our own wisdom. Dr. Uma Gupta, professor, STEM expert and popular keynote speaker, delves into the hidden truth about diversity. After decades’ worth of talking about this hot topic that has made us all so weary that we’re not saying anything new, how do we actually change the conversation? Cinthya Grajeda-Mendez is an undergraduate in Cyber Systems at University of New Haven’s Cyber Forensics Research & Education Group / Lab (UNHcFREG). She spent eight years in the U.S. military and was deployed to Iraq twice, making the rank of sergeant on the second deployment, and is now a full-time student. In her spare time she has an internship at UNHcFREG where she’s working on a study about the availability of datasets in cyber forensics and security. 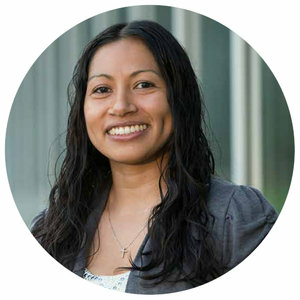 She was born in Guatemala and moved to the U.S. when she was twelve, and will be the first of her family to graduate from university with a bachelor’s degree. Cinthya Grajeda-Mendez, the first and only female to ever join the UNH Cyber Forensics Research & Education Lab, has twice found herself in a field dominated by men. From the military to cyber forensics, this 4’9” woman is the epitome of never giving up on your dreams and not taking “no” for an answer. Chris Gerritz is the CEO + Co-Founder of Infocyte, a provider of agentless hunt technology that eradicates malware and persistent threats. Gerritz, a retired Air Force officer and service-disabled veteran, is a pioneer in defensive cyberspace operations having built the U.S. Air Force’s first interactive Defensive Counter Cyberspace (DCC) practice. From a decade of military service, Gerritz draws on both leadership and deep technical experience serving in various roles such as cryptographic systems maintainer, cyber warfare officer and Air Force pilot. Prior to co-founding Infocyte, Gerritz served as the Air Force Computer Emergency Response Team (AFCERT)’s first Chief of DCC Operations. In this role, he led a team of 28 operators tasked with finding, tracking and neutralizing state-sponsored threats on the Air Force’s $2B, 800K node enterprise network. He conducted and/or oversaw 350+ adversarial hunt, rapid response and threat engagement missions on networks throughout the world. Gerritz holds a B.S. in Electrical & Computer Engineering from Oregon State University. We can build our walls higher and higher, but against a persistent adversary, prevention is bound to fail. What then? In this Experts Corner, Chris Gerritz, CEO and Co-Founder of Infocyte, explores the possibilities of changing the mindset for security operations. 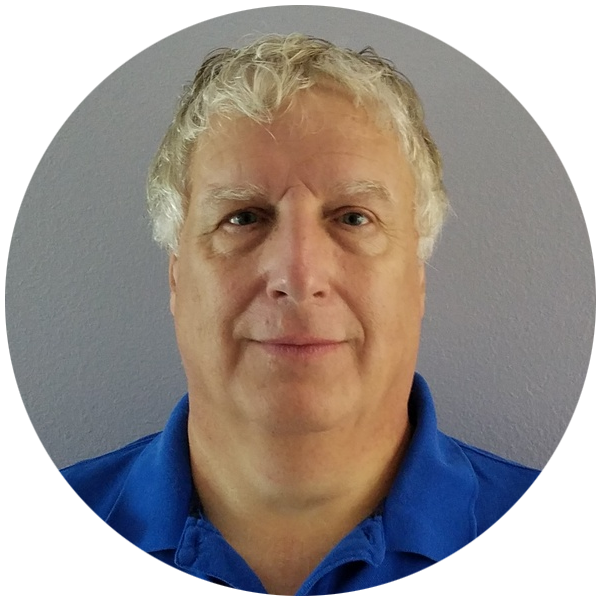 Cassio Goldschmidt is an internationally recognized information security leader with strong background in both product and program-level security. Outside work, Cassio is known for hiscontributions to Open Web Application Security Project (OWASP) , Software Assurance Forum for Excellence in Code (SAFECode), the Common Weakness Enumeration (CWE)/SysAdmin, Audit, Network, Security (SANS) Top 25 Most Dangerous Software Errors, along with contributing to the security education curriculum of numerous universities and industry certifications. Decentralized systems based on technologies such as Blockchain must take into consideration the safety of the security researcher and provide the means to report vulnerabilities anonymously. And because flaws are inevitable, companies working in this space must have a mature, responsible disclosure policy.